Gladiators, Bulldogs trade lead five times before Gladstone scores with under a minute remaining to finish unbeaten in league. For the third time this season, the Woodburn football team left the field on the wrong side of a game decided by the narrowest of margins. The Bulldogs (5-3, 2-3 Special District 2) dropped its final home game of the regular season 30-28 to the No. 2 Gladstone Gladiators. In a game of runs, the Bulldogs trailed 7-0 early, only scoring back-to-back long touchdowns to take a 14-7 lead midway through the second quarter. The Gladiators answered with 21 straight points to go up 24-14, only to see the Bulldogs come storming back late. Dyontae Navarrete's three-yard touchdown cut Woodburn's deficit to 24-21 with 7:24 left in the game, and a Nate Corpuz touchdown run gave Woodburn a 28-24 lead with 2:33 remaining. But the Gladiators had the final say, completing a 16-yard touchdown pass with 37 seconds to come away with the two-point victory. Corpuz completed 13-of-23 passes for 301 yards and a touchdown, while receiver Luis Rodriguez caught five balls for 143 yards and a score. Senior R.J. Veliz added a 74-yard punt return for touchdown in the second quarter to give Woodburn its first lead of the game. The Bulldogs' three losses this season have come by a combined margin of five points, as the team has lost three of four games since opening the season 4-0. Although the team finished fourth in the final league standings, the Bulldogs' high standing in the OSAA rankings has the team in the post season for the first time since 2011. 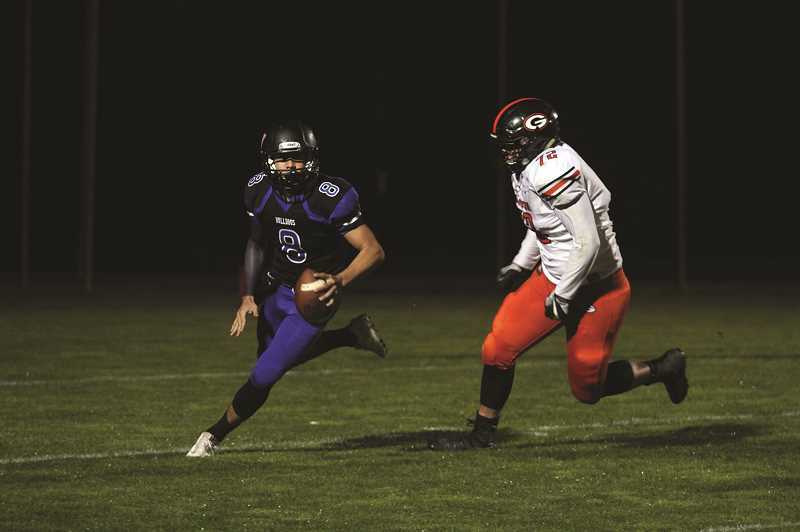 The Bulldogs will host the Tillamook Cheesemakers (4-4, 2-3 Special District 1) at 7 p.m. Friday.